HIS COMEDY career began when he entered the prestigious So You Think You’re Funny? competition, and took off when he reached the finals. Today he is one of Irish comedy’s most popular acts. Gearoid Farrelly plays the Róisín Dubh Comedy Clubh tomorrow night at 9pm. He has played support to Neil Delamare, Sarah Millican, and the legendary Joan Rivers. 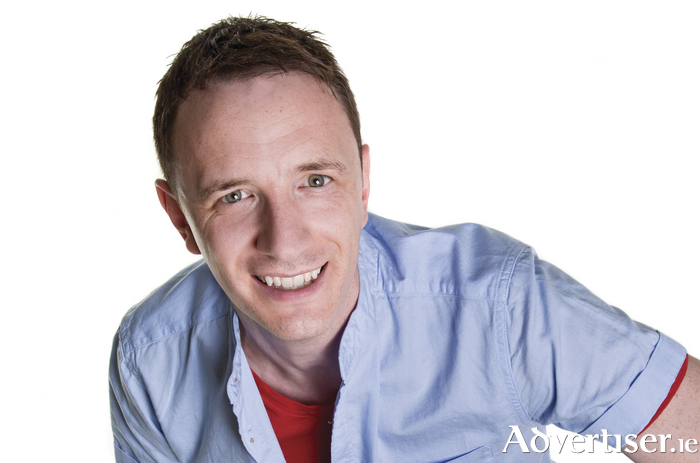 He has played PJ Gallagher’s conjoined twin on RTÉ’s Meet Your Neighbours and appeared on The Savage Eye and The Blame Game, and is a regular contributor on the Neil Delamere’s Sunday Best on Today FM. The Irish Times has called his stand-up, “intelligent, reflective comedy”, while Broadway Baby said, "to be an audience member in Farrelly’s crowd is a joy. Each joke landed perfectly". Support is from Cian McGarrigle, a host of Headstuff’s Reviewables podcast, and Luke Kelly, winner of the Hardy Har comedy competition in Bray. The MC is Steve Bennett. Tickets are €10 from the Róisín Dubh; [email protected], Shop Street; and www.roisindubh.net, or €12.50 at the door.